You are prohibited from using any of the marks appearing on this website without the express prior written consent of Gravity Autos Atlanta, except as permitted by applicable laws. Other marks and logos shown on this website may be marks owned by third parties not affiliated with Gravity Autos Atlanta and are used with permission. Nothing shown on this website should be construed as granting, by implication, estoppel or otherwise, any permission, license or right to use any trademark, service mark or trade name displayed on this website without the written permission of Gravity Autos Atlanta or the third party owner. 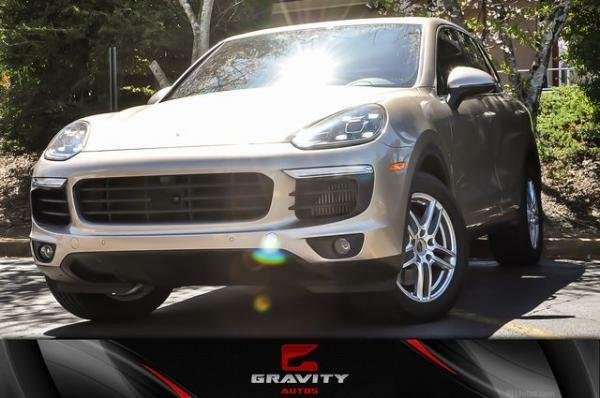 The use of any Gravity Autos Atlanta logo or mark, whether registered or unregistered, as a hyperlink to this website or any other Gravity website is strictly prohibited unless consented to in writing by Gravity Autos Atlanta. All data contained on the website relating to third-party products or services, including but not limited to prices, availability of service or product, product feature or service coverage, if any, should be verified with the party supplying the product or service. Gravity Autos Atlanta may at any time without notice amend the data displayed on the website. 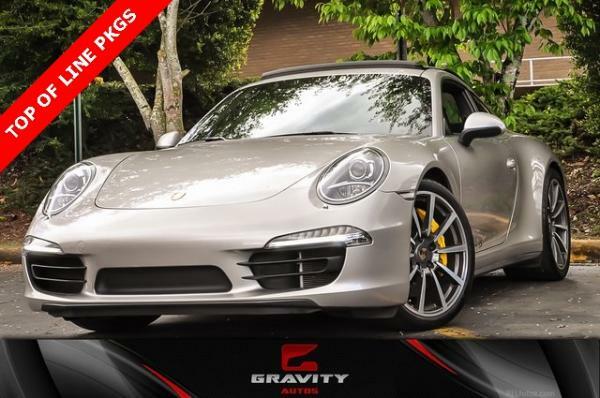 While Gravity Autos Atlanta endeavors to periodically update posted information, not all information may be current, and Gravity Autos Atlanta does not guarantee the accuracy or reliability of such data. Specifications on the website are for comparison purposes only; specifications, standard equipment, options and pricing are subject to change without notice. Some options may be unavailable when your car is built. Some vehicles may be shown with non-U.S. or non-Canadian equipment. Please consult your dealer for advice concerning the current availability and pricing of options. Manufacturer's Suggested Retail Price (MSRP) excludes transportation fees, taxes, license, title, optional or regionally required equipment. Actual dealer price may vary. Gravity Autos Atlanta is not responsible for any loss or damage caused by your reliance on any data contained on this website. Gravity Autos Atlanta recommends seat belt usage and observance of traffic laws at all times. This website is provided as a convenience to you on an "as is" and "as available" basis. Gravity Autos Atlanta does not warrant that your access to these website Gravity Autos Atlanta's will be uninterrupted or error-free. NO WARRANTY OF ANY KIND, EITHER EXPRESS OR IMPLIED, INCLUDING BUT NOT LIMITED TO WARRANTIES OF TITLE OR NON-INFRINGEMENT, OR IMPLIED WARRANTIES OF MERCHANTABILITY OR FITNESS FOR A PARTICULAR PURPOSE, IS MADE IN RELATION TO THE AVAILABILITY, ACCURACY, RELIABILITY OR CONTENT OF THE SITE BY Gravity Autos Atlanta. Gravity Autos Atlanta SHALL NOT BE LIABLE FOR ANY DIRECT, INDIRECT, INCIDENTAL, SPECIAL, CONSEQUENTIAL OR PUNITIVE DAMAGES, LOST PROFITS, REVENUES OR DATA, OR LOSSES FOR BUSINESS INTERRUPTION ARISING OUT OF THE USE OF OR INABILITY TO USE THIS WEBSITE, EVEN IF Gravity Autos Atlanta HAS BEEN ADVISED OF THE POSSIBILITY OF SUCH DAMAGES. Gravity Autos Atlanta assumes no responsibility and/or liability for any damages to or viruses that may infect your computer equipment or other property on account of or arising out of your use of or access to this website. Some jurisdictions do not allow exclusion of certain warranties or limitations of liability, so the above limitations or exclusions may not apply to you. Gravity Autos Atlanta's liability in any case shall, however, be limited to the greatest extent permitted by law. Gravity Autos Atlanta may include links to other sites on the Internet that are owned or operated by third parties, including authorized Gravity Autos Atlanta dealers. When visiting these third-party sites, you do so at your own risk. You should review and determine if you agree to a particular site's terms and conditions of use before using such site. Gravity Autos Atlanta does not control these sites and assumes no responsibility for their content. A link to a non-Gravity Autos Atlanta site does not imply that Gravity Autos Atlanta endorses the site or the products or services described on such sites. Any communication or material you transmit to the website (including feedback, data, answers, questions, comments, suggestions, ideas, plans, orders, requests or the like) will be treated as non-confidential and non-proprietary. All materials transmitted to the website becomes the property of Gravity Autos Atlanta and may be used for any purpose. Gravity Autos Atlanta may publish the material and/or incorporate it or any concepts described in it in our products without compensation, restrictions on use, acknowledgment of source, accountability, or liability.